“Because of the nature of my work, my flight training has been in many different places and with a variety of instructors. By pure providence I was connected with Tom Fischer while filming in New Jersey. I have NEVER had an instructor with such a deep wealth of knowledge of aviation, and such skill as a pilot. Throughout your flight training, you as a student will learn many acronyms to help you remember the many details of flight……chances are Tom created them. His nuggets of wisdom make the sometimes overwhelming moments of flight seem simple again, and the experience he brings as a pilot will give you confidence that you have been trained safely, properly and extensively when it is finally time to take to the sky on your own. You will ABSOLUTELY not find a better instructor for your training.” “…. he helped me go from “playing a pilot on TV” to actually being one”. Tom taught me how to fly! 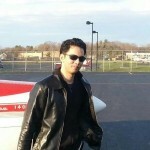 I trained with him to get my Private Pilot License and came back to him to start my Instrument Rating. I got lucky with Tom. He doesn’t berate you when you screw up. He’ll basically let you make mistakes (as long as they’re recoverable) and you can bet you’ll learn from that experience. His skills are phenomenal, so there’s no worry that you can screw anything up. He’s also very focused on fundamentals and his sayings will forever be drilled in my head. I’ve had a lot of fun training and some great experiences flying! I began working towards my private pilot’s license during my junior year of high school with Tom Fischer as my instructor. 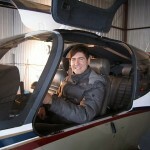 Because of his expertise, I was able to earn my private pilot’s license immediately after graduation from high school. I entered the program with a goal of becoming a professional pilot, and Tom centered my learning experience with that goal in mind. 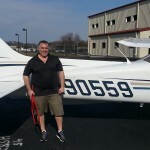 Tom not only made the learning process extremely enjoyable, but also immediately provided me with the knowledge and skills necessary to be a safe and confident pilot. I’m currently a Flight Operations major at a competitive university, and am progressing through my ratings efficiently thanks to the skills I had acquired in my early stages with Tom. Even in my advanced stages of training, I still come back to Tom to make sure my skills are where they need to be. When my 16-year old son expressed a desire to pursue a private pilot’s license with the possibility of continuing on to a professional career in aviation, we were very fortunate to meet Tom Fischer. Tom became a trusted teacher and mentor to my son, and a person who a parent could have complete faith in to provide the finest and safest instruction available. Our family considers Tom’s knowledge and skill to be the best in the business, and we will continue to seek out his expert advice for years to come. At Fischer Aviation, instructors focus on helping you to build a strong foundation of knowledge for a lifetime of fun, safe, flying. 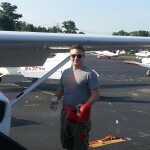 I worked with three instructors at other schools prior to meeting Tom, and I couldn’t imagine flying with anyone else. 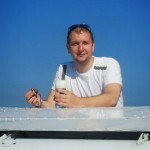 He is excellent at balancing learning with fun, and takes a vested interest in his students’ development. On top of that, Fischer has a great vibe, spending time there is something I always look forward to. On the recommendation of two colleagues who received their pilot training from Tom Fischer, I started working on my private pilot’s license with him. I found him to be very professional with a safety oriented and practical approach that suited my abilities and skill level. Tasks that were mastered quickly were moved over quickly while extra attention was spent on tasks that were difficult for me, allowing me to iron out my weaknesses and complete my training on time. 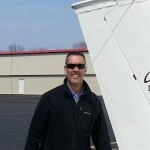 Going into my FAA check ride I felt I was very prepared and I would recommend Tom to anyone who wants professional, practical, safety oriented instruction. I fly approaches with Tom Fischer every week to maintain my instrument currency. He is always professional, knowledgeable, and a easy to work with. This training has resulted in me being a safer better pilot. 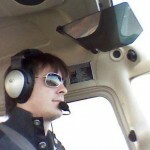 I recommend Fisher Aviation services to both students and experienced pilots. I got both my private and instrument ratings with Tom. There are very few people who are born to teach others to fly, but he is one of them. Patient, clear, and committed to mastering the fundamentals, Tom is simply a superb instructor. and I mean it baby! Jodi and Tom created a little heaven for pilots at the Caldwell Airport. You will want to keep coming back even when the weather is bad, and you won’t get to fly. The lounge area is a great place to exchange stories with other pilots who quickly become your friends and who will encourage and support your flying ambitions. Since I was 5 year old I wanted to be a pilot, and there was no way anyone could talk me out of it. I have to admit it took a while to make it happen, but I can’t imagine a better place to learn to fly, and to meet other aviation enthusiasts. Jodi’s warm and friendly personality makes everyone feel like at home, and Tom’s love for flying, and passion for teaching is one of a kind. I know it was exciting to take off for the first time, but Tom took me all the way to a point where I feel competent and confident that I can fly. I’m grateful for it, and I highly recommend him to anyone who carries deep inside a dream of flying. There is no better place to learn to fly than Fischer Aviation. If you want to learn how to fly the right way, there is no better school than Fischer Aviation. I tried two other flight schools before I met Tom Fischer and after just one flight, decided to look no further. I can say from personal experience that Tom has the experience very few flight instructors out there have. He has been in any flight condition that you can think of. To me, that is the type of instructor that I want to learn from. I wholeheartedly recommend Fischer Aviation. It’s great to have the opportunity to acknowledge the professionalism, skill, proficiency and teaching acumen of Tom Fischer, a CFII I’ve probably given more than one or two headaches bumping along between layers doing IAP’s. You work up there, but on every flight you learn—better safety strategies, engine operation, aircraft control, weather assessment; even down to the smallest details of saving wear on a beacon switch or keeping the RPM’s up just a bit to prevent battery discharge during idle. Tom and Jodi’s launch of Fischer Aviation has been a terrific achievement in many ways, including the new, state of the art motion control flight simulator to make up the difference when the METAR shows gusts to 45K and 002 OVC. Always proud to walk through the door of Fischer Aviation, “Where Angels and Generals Fear To Tread”! As many of you, I have a very nyc-busy kind of life, you know what it is. I always try to make the most of my time. I am very demanding and dedicated when it comes to work, and the same about learning. 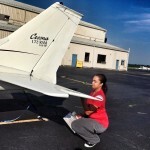 When I decided a few months ago that I would go ahead with my longstanding dream to fly, I was looking for an efficient program in a school where I could learn from the best instructors. I looked online for flying schools around the city, and I gave a call to Jodi. I liked her personality right away, very friendly and professional. We talked a few minutes, she asked me different things about me and my aeronautics past experience (glider). I really liked to feel that my story mattered. She scheduled an intro flight with Tomoharu. This first flight had it all : Beautiful view through the windshield, radio coms, some light manoeuvres and most important I really liked Tomoharu. 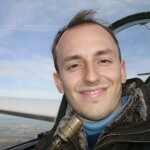 Excellent pilot with great teaching skills, a very accurate knowledge of the whole area. He visibly enjoyed the flight as much as I did, which I found great. He made me feel safe, and I was sure that this would work perfectly. I jumped into the details to get me started asap, very eager to learn. 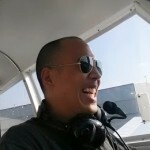 Tomoharu is now my instructor, and each flight together is a chance for me to learn new things. We have lately flown the hudson river corridor. I’ll never forget seeing the city’s skyline on the left from the pilot seat going south, as well as the turn we made around the statue of liberty, there is just no words to describe such an experience, this is what all this is about. Caldwell Airport is probably the training airport with the easiest access from the city. There are bus connections from Port Authority which would get you there in just 30 minutes. In this class D airport, you’ll get to learn a lot about radio communications with the tower and the ground without spending time waiting for other aircrafts in the taxiways. A perfect balance and a great training environment. I guess you can’t really explain why one wants to fly. If you have it in you, you know how it is. It is in your guts, you can’t get rid of it. You look up all the time, and hear the sky calling. If you have this sort of passion, don’t wait anymore, Fischer aviation has all the rest to make it finally happen in the best conditions possible. If your someone who really wants to be a pilot but don’t know which flight school to join, look no further. Fischer Aviation makes it as simple and straightforward as it gets. Not to mention all of the instructors are there for you whenever you have a question, and guide you 100% of the way. Their innovative online scheduling makes scheduling a breeze and shows you all the days an instructor/planes are available. Also, the price is very reasonable for training to become a pilot. 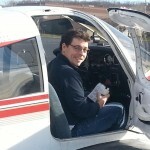 All in all learning to fly at Fischer Aviation had to be one of my best choices, having looked at other flight schools. Anyone wanting to become a pilot for the first time or looking to resume training, this is the flight school for you! Old hands. That’s what went through my mind when I spoke with Tom on the phone. “This guy’s a veteran. A professional.” Sure enough, between Ed, Bob, and the crew, Tom has assembled a team of like-minded instructors who possess the know-how, the demeanor, and the teaching skills to effectively convey their knowledge and expertise to the pupil. For me, this was the critical factor in school evaluation. I’d have signed up for something akin to Parris Island if it meant better teaching, so the fact that everyone at Fischer is as welcoming as your grandmother’s house during the holidays is icing on the cake. That same gracious attitude is evident whether you’re there for a half hour discovery ride or a student en route to your PPL. You won’t find nicer people to fly with–or better instruction. Period. 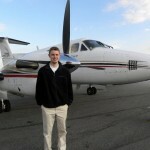 I looked into a number of flight schools in the NYC/NJ area before starting my training at Fischer Aviation. Tom and Jodi impressed me with the quality of their facilities, equipment, and training style. I’ve been flying with Tom, who does a great job of tailoring lessons and pacing to my individual needs and learning style. I couldn’t be happier with my experiences so far, and I look forward to working with Fischer for many years and ratings to come. 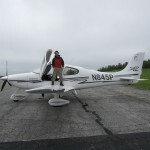 When I was looking for a flight school to start my training, I also considered the airport I would be flying out of ,and after seeing Caldwell airport and taking my first lesson in February 2011 I was hooked. 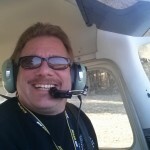 Tom and Jodi at Fischer Aviation make my training fun as well as rewarding. 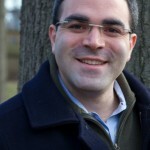 Tom is an excellent instructor , who pays attention to detail and brings out the best in his students. I know flying with Tom will make me a safer more informed pilot. 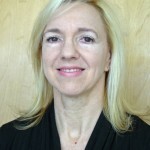 The aircraft are perfectly maintained and Jodi makes scheduling a pleasure. Learning to fly is everything I imagined and more , Fischer Aviation made it possible and affordable. If you’re looking for a flight school in the area look no further! Fischer Aviation is definitely the place you want to learn to fly from. Tom and Jodi are top notch people and having a working relationship with them is different. It’s like talking with your best friends over dinner and not wanting to leave. The atmosphere at Fischer is like being with your family, and the entire staff is like being part of your extended family. I have been working with Tom for about 8 months now and not once did I ever have a dreaded feeling about flying. When I first met with Tom we sat and talked for well over 2 hrs and just his attitude, experience, and knowledge I knew right then and there this was the place I was going to learn to fly from. Coming from a family that has an aviation history, my father being a CFI, CFII in fixed wing and rotorcraft, and a MEI. I thought I would never have to learn from anyone else until a tragic accident in 2009. Working and learning from Tom is like learning from my father. Tom just doesn’t want you to learn it, he wants you to master it! Last month I did have the opportunity to fly our family plane with another instructor in another state and he was quite impressed with my ability to fly and I can only credit that to Tom and Fischer Aviation! I can say that my training will not stop when I get my private pilot license but will continue to instrument, commercial, and CFI and I can’t imagine myself doing it with any other school but Fischer Aviation! I have done my homework and have interviewed other schools in the area before choosing Fischer and no one can compare to Tom and Jodi and the rest of their top notch staff. So once again if you’re looking to learn to fly or further your training look no further and learn from the best at Fischer Aviation! Fischer Aviation is a beautiful well-run facility. Their planes run like tops and are kept clean. Tom, Jodi and the rest of the staff are committed to each and every student. As a young professional, my schedule can be extremely cluttered. Tom accommodated me with what became known as our 6am dawn patrols. If you are looking for a comfortable, insightful learning environment Fischer Aviation is the place for you. Working to get a private pilot’s license is not easy, and often it feels as though the odds are stacked against you. But Tom and Jodi, and everyone over at Fischer is just unbelievably helpful and supportive. The instructors are incredible, and extremely thorough. I’m currently flying with Bob as my instructor and he’s had years of experience as a flight instructor and is able to give great advice whenever he sees I’m having trouble with something. One piece of advice for aspiring pilots: Make sure you can dedicate a consistent, and solid amount of time for training, especially early on. And keep in mind that you’ll also need the weather to cooperate to get flight time in. I did feel like I somewhat wasted my first three months of training because of my sporadic availability, plus a lot of bad weather keeping me from getting a solid foundation. If you’ve got a passion for flying and are truly determined, or are just trying to test the waters, I’d highly recommend Fischer Aviation. Between the great instructors and the down to earth, family atmosphere, you just can’t go wrong. THE BEST FLIGHT SCHOOL!!! 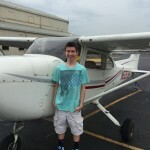 After looking into and trying other schools in the area, I came to Fischer Aviation. I am much more satisfied here rather than the other flight schools at Caldwell Airport. The staff is a pleasure to deal with, and they are very easy to communicate with. Tom Fischer, as well as Bob, my instructor, are great teachers and are both very professional. 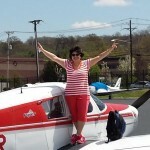 Jodi Fischer is a sweet heart, and has been a big help in getting me all the materials I need for flight training. All in all, this is a great flight school, and is truly worthy of a five star rating. 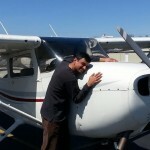 I recommend them to anyone in the area who wants to learn how to fly from the experts. 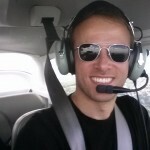 Fischer Aviation is absolutely the best place that you can learn to fly in the NYC/NJ area. This school has excellent instructors and my instructor Tom Fischer is just outstanding. I’m ever so grateful for his patience. 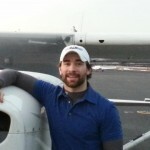 He has excellent teaching skills and will help you to achieve your flying goals. If you ever had a dream to learn how to fly this is the place to come!!! You will not be disappointed. This school is flexible and you can structure a course which suits you time wise. This is a great place and has a warm and friendly vibe. 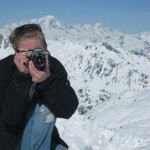 While the instructors are busy with us students Jodi runs the place operationally – she too is an awesome person. Thanks so much Fischer Aviation. Absolutely the best flight school in NY/NJ area. I have tried few other schools at a busier Class C airport and having flown with Tom just once I decided to look no further! Tom is extremely experienced, knowledgeable, friendly, funny and has a way of explaining things so that you never forget them. Everyone else at the school, Jodi and other instructors are very friendly and helpful. The school has a very neat and modern environment and is conveniently located ~30 minutes from Manhattan. Essex County airport is a Class D airport which means you will get to learn/practice your radio communication skills without spending any unnecessary time and money waiting for takeoff or landing clearances, which is usually the case at busier towered airports. More importantly, flying is a lot of learning and Tom always makes this learning a lot of fun! There is no better place to learn to fly than Fischer Aviation! 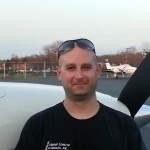 I am a private pilot student and I looked at a variety of flight schools in the NJ/NY area and Fischer Aviation was hands down the best choice. Here are a few reasons why. 1. 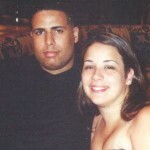 Tom and Jodi are very down to earth, approachable and easy to communicate with. 2. The school looks brand new and has all the amenities you could want. Including a state of the art flight simulator for honing your skills. 3. You have the option to train on high wing or low wing planes. 4. It’s based out of a small airport. Which is important because at larger airports you will be paying for airplane time while sitting on the runway waiting to takeoff. 5. Prices are reasonable and they are upfront about them. 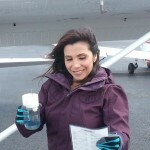 Some schools advertise FAA minimums which might sound great and are significantly cheaper, however most students need extra time so advertising the costs off FAA minimums paints an unrealistic picture of what your training will actually cost. 6. Scheduling training time is very easy online and they make every effort to accommodate unique schedules. 7. 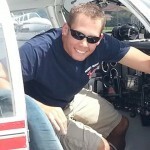 The rest of the flight instructors are just as friendly and approachable as Tom. I have had the privilege to fly with 3 instructors so far and have learned valuable information and techniques from all three. If you are serious about getting your pilots license, or even just want to try a single flight to see if you enjoy it, you owe it to yourself to at least stop into Fischer Aviation and speak with Tom or Jodi. You will not regret it. 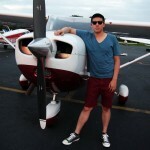 I checked out 6 flight schools within 1 hour of Manhattan. By far, Tom is the best. Safety and good habits are a huge part of his approach. “There’s no rush to be a bad pilot” he says when I get frustrated with my learning. He’s very patient and an excellent pilot / CFI. He also has a good sense of humor which helps given the amount of time I spend with him! I highly recommend his school. Professional, experienced and a nice, growing fleet of aircraft. I look forward to getting in the plane with him every time. I’ve flown with Tom Fischer for the past 6-7 years, beginning at the school he used to be the Chief Instructor at. I got my private pilot certificate there. Tom flew many of my stage checks with me including my final stage check before my FAA check ride. He is very competent and the experience was always positive and constructive, so I was happy to see he opened his own flight school. The facility is top notch and I love the ability to manage your own schedule on the internet without having to call someone to do it for you. 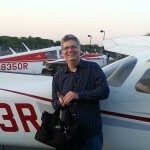 I’ve been renting from Fischer Aviation for a while now after taking my biennial flight review with Tom. I couldn’t be happier with the school. Two thumbs up!! 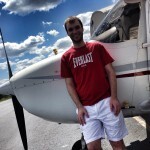 As a newly licensed pilot, I’ve looked back on my training experience at Fischer Aviation and it was all extremely positive from start to finish. I initially began flight instruction at an adjacent school at KCDW. After being passed off to 4 different instructors, I felt disconnected, discouraged and knew this was not the type of experience I wanted nor deserved. Tom knew my situation at that school and called me on a pretty consistent basis to check in, let me know about his new aircraft and encouraged me to get back into flying. After about 10 encouraging calls and texts from Tom, I picked back up to complete the final leg of training. 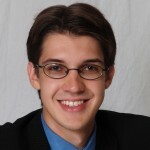 Tom’s consistent calm personality and patient teaching style is evident and he ensures you understand all aspects of your training and never become disconnected or lost. Tom & Jodi are top shelf people. You feel you’re part of family when at the school. The aircraft at Fischer are in excellent condition, clean and well maintained. With hard work, studying and flying, the Fisher Aviation environment is designed to make you a safe, competent and knowledgeable pilot. Ever since my first day at Fischer Aviation when I picked up an information packet, I’ve felt like I was in the perfect learning environment. Tom and Jodi (the owners) have built an amazing atmosphere. The facilities are modern and immaculate. More importantly, you’re treated like a member of their family. They take aircraft maintenance very seriously and have a choice of high wing and low wing training aircraft. The instructors all have different personalities and teaching styles which makes it easy to find one that best fits your learning style. It is actually encouraged for you to find an instructor that you mesh with best. A lot of the students (myself included) are busy professionals who pursue the dream of flying on the side and have constantly shifting schedules. The people at Fischer realize this and are very understanding of our reality. I highly recommend booking an introductory flight lesson so you can see for yourself why Fischer Aviation is a great place to learn how to fly. Fischer Aviation deserves far more than 5 stars! Tom Fischer is by far one of the best instructors I have ever worked with. Not only his focus on safety and attention to detail make him an excellent CFI, but also his ongoing patience and sense of humor make him a joy to work with! Jodi, who runs the school with Tom is what I consider to be my “flight school mom”. She is always there for me when I have questions or when I am looking for extra support. Fischer has very reasonable rates compared to their competition and the aircrafts are well maintained. I have flown with many schools and instructors, but when I landed at Fischer, I knew immediately I was home. Tom and Jodi have created a sanuactuary for student pilots and I find myself never wanting to leave. All of the instructors are top notch and they are there to stay. The students are soooooo friendly and it won’t take long to feel like part of the Fischer family. I feel blessed to train at Fischer as Tom has not only made me fall in love with flying again, but the learning process as well! What a great experience from start to finish! Jodi was an absolute pleasure to deal with and was so friendly and helpful! 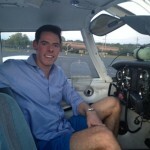 Tom was experienced, gave you full authority to fly the plane and was very patient! 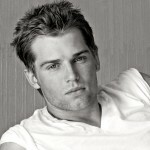 Looking to do my license with Fischer! If you want an awesome experience go here! Three key factors in choosing a flight school are the airport, the aircraft and the instruction. On these points, taken individually and collectively Fischer Aviation is a GREAT place to learn to fly. Airports come in two broad varieties – those with and without control towers. Flying out of an airport with a control tower is important because it forces you to (i) be become competent dealing with controlled airspace and (ii) comfortable using the radio. Fischer Aviation Operates out of Essex County (CDW) which is an airport with a control tower. From early in your flight training, you’ll be using the radio, talking to air traffic controllers and building competency and comfort with aviation communication. Some flight schools defer maintenance to maximize profits. Most flights schools specialize in one type of aircraft. On both these points Fischer Aviation is different in a good way. Tom takes obvious pride in his fleet of aircraft and maintains them well. Tom also flies both Piper (low-wing) and Cessna (high-wing) aircraft. This offers students the ability to choose the aircraft they are most interested in. Good instruction is focused on YOUR progress relative to a defined syllabus. Poor instruction is either focused on selling blocks of time upfront or simply running up the clock. Block of time are a bad idea because they create a conflict of interest for the school – your maturity as a pilot vs their profit margin. Fischer Aviation is strictly a pay-as-you go school. There is a clear syllabus with practical measures for each lesson. Teaching flying is the sole focus of Fischer Aviation. In my dealings with Tom, he and his staff have always demonstrated the highest levels of integrity. This gives me confidence that they are putting my interests and well-being first – this is important because while flying is safe and fun, it can also be unforgiving. SO, for the combination of a controlled airport, clean and well maintained aircraft and excellent instruction focused on my progress, Fischer Aviation is and has been a GREAT choice. If you’re thinking about flying, I highly recommend giving Fischer Aviation a call! 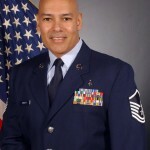 During my 27 years and 6 months of military service, I have spent countless hours sitting in the cockpit of a military aircraft as a passenger/observer. During take offs and landings, I would say to myself ” I can do that!” I only dreamed of what it would be like to have the ability to fly an aircraft anywhere I wanted. 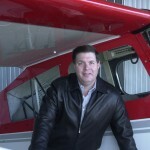 Fischer Aviation has helped turn that dream, my dream, into a reality! Mr. Thomas (Tom) Fischer has taken me under his wing (no pun intended) to patiently teach me how to safely aviate, navigate and communicate. He has demonstrated true instructional skills, a special trait that many simply do not have. Tom’s instructional techniques facilitates learning in a enjoyable , nonthreatening and safe environment. I spent many hours researching a good flight school to attend, and it finally paid off when I discovered FISCHER AVIATION. I called Fischer Aviation and spoke to Tom. He patiently answered my relentless number of questions. Never once rushing to get off the phone. After my very first flight, I was hooked! 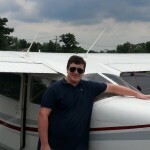 I was on my way to becoming a Private Pilot. Fischer Aviation is not your average flight school. Owner and instructor Tom Fischer runs his school with pride and incredible attention to detail. His high standards are evident in everything from the team of top-notch instructors down to the fleet of impeccably maintained aircraft. Safety is at the forefront of every lesson, and quality of instruction is unmatched. Fischer Aviation trains its students to be safe and skilled pilots. Definitely recommend prospective students to give Fischer a try; I think you’ll be convinced as soon as you walk in the door. I will write a short review, usually I write a novel I joined this school because I wanted to be a real and a safe pilot, not just a certificate holder. With that being said, I wanted a school or an instructor that is serious about flying. Tom is not new to flying. He got a family history in aviation and he knows his stuff well. I’ve always been conscious about “who owns and runs the business”. like “Shopping @ Wal-Mart Vs. a family run store”. Try asking for a review or suggestion from an employee of big Corporate Run stores… they will just say “Isle 4″ with an attitude. and then try shopping at a family run store and see what kind of customer service you get and the benefits of shopping there. 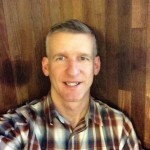 I’ve personally worked at small growing companies… and I’ve noticed if one wants to grow…. they should join a growing company, not a giant firm. You will grow with a growing company. Fischer Aviation is a growing company/school… they just added a beautiful multi-engine bird to their fleet. I dream of working for Tom one day as a CFI. @ Fischer Aviation, you get trained one-on-one. The staff know you by name, and ‘personally’. You will be a part of the family, and its not just a short term transaction here. It’s a long term flight. “Start-Prop!” Tshhhhtk! Last Halloween I received a most unique present from my husband. He signed both of us up for a flight lesson at Fischer Aviation. The experience was beyond our expectations and we decided to continue with our flying lessons. Tom Fischer, who is owner of Fischer Aviation and my instructor, is one of the most professional and patient people I have ever met. Being Colombian, with English as my second language, he makes sure that I understand everything. 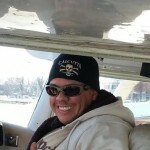 I am so happy that my husband chose Fischer Aviation over any other flight school. Seventeen flight hours in and no regrets!!! After researching flight schools in the general area I chose Fischer Aviation. They accommodate you at all hours. Their planes are well-maintained, clean and up to date. The instructors are extremely knowledgeable and thorough. If you forget to ask something, just call Jodi with the question and your instructor or Tom will call you back with the answer. They make flight school fun and enjoyable. That is why I highly recommend Fischer Aviation. My experience with Fischer Aviation has been simply wonderful. The owners, Jodi and Tom, are very genuine and down-to-earth, and made me feel welcome from day one. 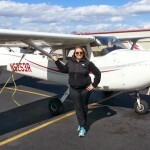 I’ve always wanted to fly, and am so glad that I chose to take my lessons at Fischer Aviation. As a flight instructor, Tom is firm but patient, and the analogies that he uses help me to visualize things and reinforce what I’ve learned. 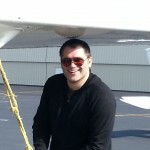 He helps build my confidence as I gain knowledge and experience behind the yoke, and it’s fun flying with him. I also feel safe flying with Tom. I will never forget one of the times that we were getting knocked around by strong wind gusts, while performing maneuvers: I was terrified. Tom said to me, “I got you”. I knew then, that I made the right choice in flight schools and am inspired even more than before to fly. I’ve had nothing but good experiences with Fischer Aviation. 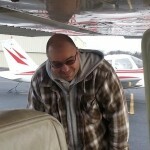 Tom has been my flight instructor, and he’s great! 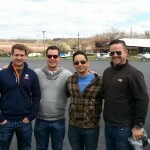 I looked at a few flight schools new NYC (talked to 3 in total), and felt the most comfortable with Fischer. I’ve been able to learn on both a Cherokee and a 172, and they’ve got several planes of each. With a few instructors and planes I’m usually able to book a saturday lesson a week or so in advance for my chosen plane, and I’m enjoying it so much I’ve moved my lessons to 2 days a week! From the minute I first spoke to Tom and Jodi on the phone, to the moment Bob brought me up for my first flight, I knew I was dealing with a very seasoned, patient, and professional group, passionate about teaching aviation. They will guide you very simply through the process, which can seem complicated and daunting at first, without any pressure, towards your goal. I left the airport after my first flight feeling exhilarated and excited for more. The airport is conveniently located, and their office is modern and comfortable. Now when I look up and see a Piper or Cessna flying by, I wonder if it’s Tom and company giving another lesson. Fischer Aviation is a great facility. I was able to fly and took a few hits, luckily it was just in a simulator. Lots of fun, very warm welcoming from Tom and Jodi. Thanks for the experience! If your looking to excel and achieve your private license with incredible instructors and good planes you’ve reached the right school. 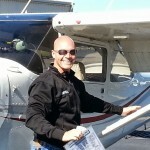 My instructor Tom not only helped me complete my private license goal, he also made safety a priority. I’ve been to multiple schools and Fischer Aviation has been the one to create an environment that is both comfortable and prestigious. I’m extremely happy with their services and how I was treated. 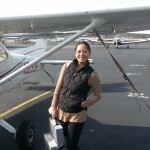 I chose Fischer after exploring five New York area flight schools. 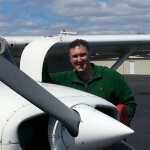 After evaluating location, price, instructor bios, introductory calls, and several intro flights, I went with Fischer because I believed they could offer the highest quality instruction, they had a great fleet of aircraft to build my base, it was competitively priced, and because I felt like they took personal interest in my development as a pilot. My experience so far has surpassed expectations. I train with Tom Fischer and Dave Pavoni, both of whom have a thousands of hours of experience. They care about my progress, and will answer questions by text or email throughout the week. And they are career flight instructors who care about what they do and love to teach. They are not 400 hour CFIs teaching to build hours and jump to an airline. I think what stands out about Fischer is that any flight school can take your money and make you a pilot. But at Fischer they care about making you the best pilot, and the safest pilot. 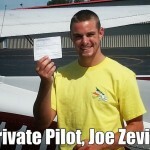 If you want a two week program to private pilot, or solo in one month, ask yourself why? If you want to take friends and family up safely and with confidence, then choose Fischer. Ive had a great experience and would recommend it to anyone. Google Popular Mechanics Learning to Fly, and read up on an editor’s experience learning to solo with Tom. I am a private pilot student, and was introduced to Fischer Aviation through my husband who did his instrument rating with Tom. I fly with Tom, and I can say the whole operation at Fischer is excellent. It’s by far the best flight school in the NY/NJ area. Tom and his team provide the most thorough combination of experience, knowledge, and safety. Beyond the instruction, I fly with confidence knowing that they take impeccable care of their fleet of aircraft. Fischer Aviation is competitively priced, and they do all they can to get you flying without a fleecing. For example, they offer an introductory discount package to get you started. They’ve done a fantastic job of creating a community of safe and capable pilots, and I’m proud that I’m on the road to becoming one with them. Started flight training last summer and I absolutely love it here. All of the instructors are very friendly and really care about teaching. They aren’t just time builders like flight instructors are at some other schools. Great experience thus far! Tom and Dave are great instructors. Patient, thorough, and fun from the ground up. “Flying a plane” is one of the most rewarding experiences you could ever imagine. But lets face it; without the right learning process and safety education who would ever take the chance? Fischer Aviation provides the care and personal attention to help each student become the best (and safest) pilot possible. 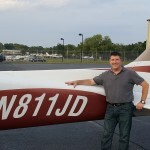 If you are looking for a flight school in New Jersey you have absolutely found the right place! There is no feeling like taking the controls of a plane in flight for the first time and there is no better place to do it then at Fischer Aviation! Tom, Jodi, and the rest of the team are extremely knowledgable, welcoming, and make sure that you are learning to fly safely during every step of the process. As I work towards my Private Pilot License, Tom has covered Pre-Flight Ground Inspection, Take-Offs, Slow Flight, Steep Turns, S-Turns, Power-On Stalls, Power-Off Stalls, Landings, Radio Communication, and several Navigation Techniques with me. During the process of learning each of these items, Tom took the time to explain the maneuver, the key items to pay attention to, and consistently provides great tactical feedback, including demonstrations of maneuvers and where things could get more dangerous and how to avoid/respond to them. The care he takes always make me feel more comfortable and confident that I could handle a similar situation in the future! I feel lucky to have found Fischer Aviation and highly recommend it to anyone looking to fly for the first time, add new certifications, or simply refine and improve current skills!